Introducing ‘Wodster’: Our leanest, meanest Divi child theme to date! Introducing ‘Wodster’: Our leanest, meanest Divi child theme to date! Introducing ‘Wodster’: Our leanest, meanest Divi child theme to date! Our latest Divi child theme is bold, ambitious and it’s going to get you shedding calories hours off your development time. 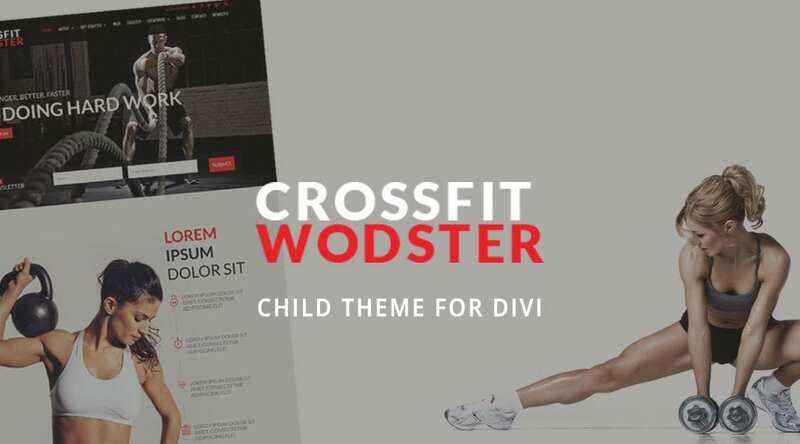 We’re thrilled to introduce Wodster: The number one fitness and exercise child theme for Divi. 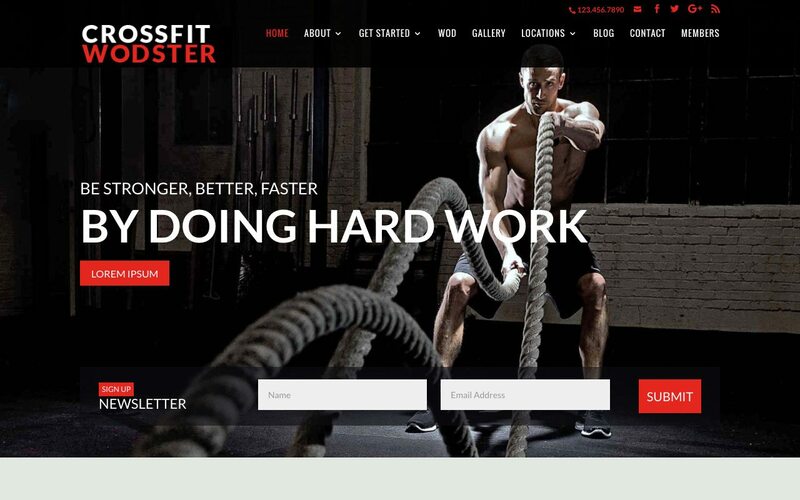 Perfect for fitness and exercise brands, Wodster is aimed at the CrossFit market but can be adapted to suit a broad range of independent gyms, training facilities, and online physical coaches. With bold font pairings, attention-grabbing image sections and striking red accents throughout the theme, Wodster is sure to entice either you or your client’s customers and get them signing up in no time. All you have to do is plug in your own content! With Wodster, you’ll start attracting customers from the second they land on your website. Designed to pair a great hero image with a catchy brand slogan or quote, Wodster includes a newsletter opt-in to help you gain followers and maximize conversions from the get-go. Inspiration is motivation, especially with customers looking to improve their fitness and exercise levels. Wodster’s home page includes a great testimonial section that lets you showcase a collection of fitness success stories. 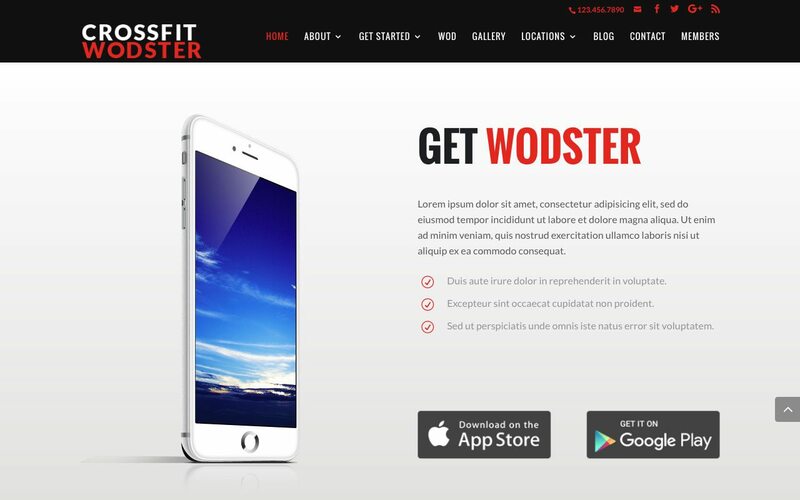 If your exercise brand has its own app, Wodster’s home page includes a section to market your digital asset, complete with links to the App Store and Goole Play Store. No app? No problem! Simply remove this section from the Home page back-end using the Divi Builder. 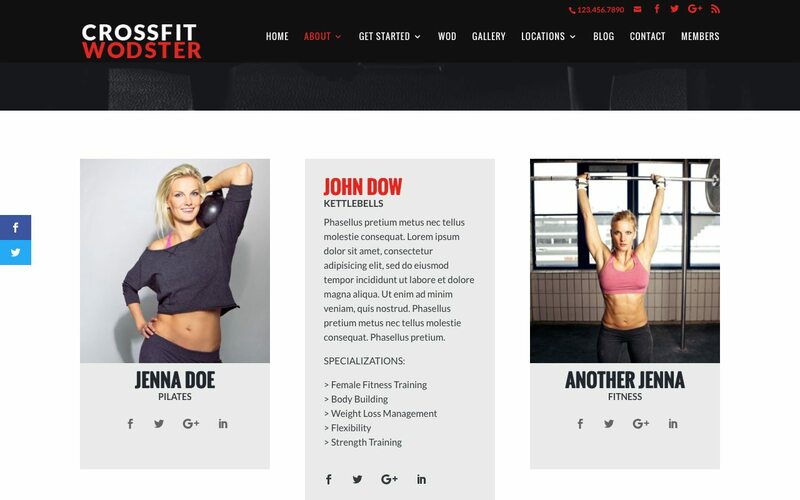 As well as a page (‘Our Philosophy’) where you or your client can communicate the core objectives of their brand, Wodster’s About menu includes an attractive Team page to introduce instructors and trainers. Each Team member entry sports an awesome animation that displays a bio and specialization skills on hover. Along with an attractive masonry-style blog, Wodster includes a second blog-style entry feature – WOD. Here, either you or your client will be able to post daily exercise routines or Workouts of the Day. Finally, Wodster includes a Members Login area that grants exclusive access to for members. Tied in with a membership plugin, this could present a great opportunity for either you or your client to begin building a loyal follower base through offering special offers and promotions, exclusive routines or even creating a community forum. Wodster is a fully responsive Divi child theme and has been tested with the latest versions of all modern browsers. For additional information including setup and configuration details, view the Wodster documentation or alternately, please open a support ticket. Available for $75.00, purchase Wodster via the Aspen Grove Studios shop. Note: To use Wodster you will need a self-hosted WordPress installation, as well as Divi by Elegant Themes installed as the parent theme. Purchase Divi here. Note: The Wodster child theme does not include the imagery as pictured within the demo. To use the demo images, please perform a reverse search and purchase graphic assets when applicable. 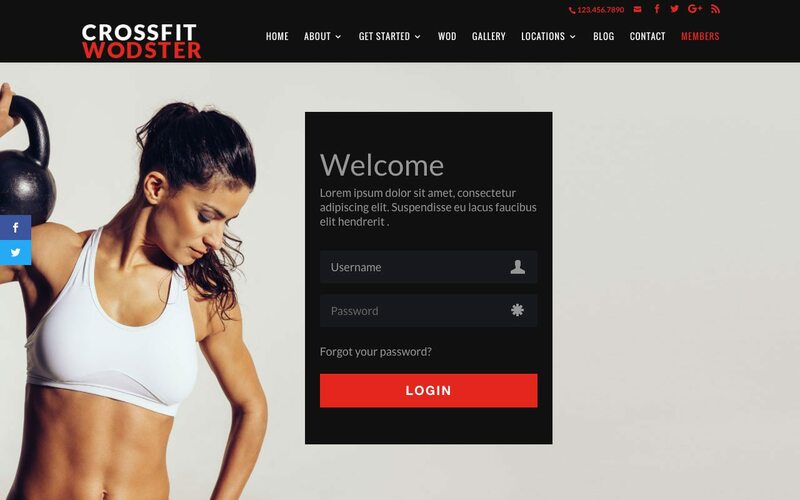 We hope that you’ll enjoy using Wodster for either your or your client’s fitsite (fitness-website)! If you have any comments or questions, please share them below! Thanks for reading! Thank you for the kind words and the site looks great! We love seeing our child themes in action and you really did an excellent job customizing it!